Licensing Consulting Group > IP Value > Value vs. Price: What’s the Difference? 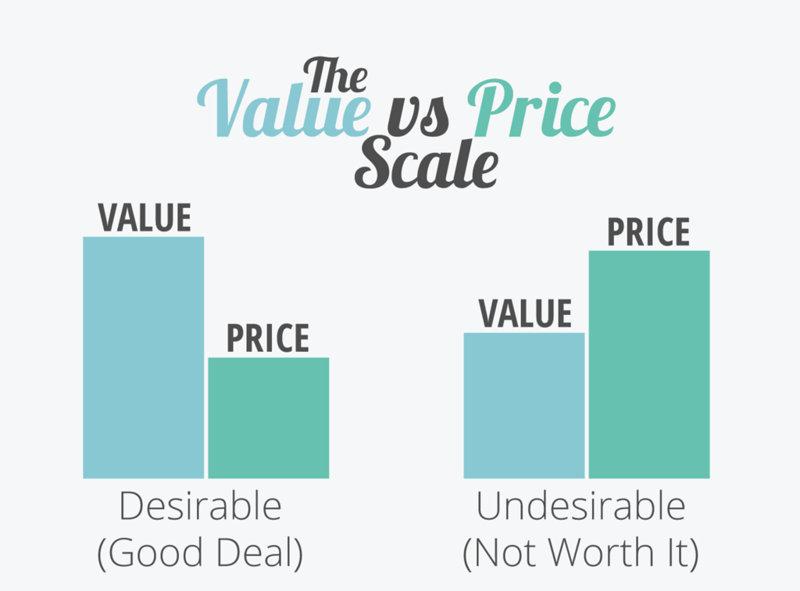 Price is an expression of value. It’s derived from what the IP owner believes is the economic benefit from using the intellectual property, the lack of any competitive alternatives, and the negotiating skills of the licensee and licensor. The value of your IP is what it’s economic worth (i.e. future benefits) is in the market. It’s determined by adding together a set of assumptions and facts, such as the R&D costs, time to develop it, and opportunity to use it that determines it’s value. Price is what someone is willing to pay, either to buy or license your IP. Price is negotiated during a transaction. In a licensing deal, the royalty rate is the negotiated price a licensee is willing to pay you to use your IP. IP value plays a big part in determining the royalty rate. It’s based on what rights are “transferred” to the licensee. The more valuable the rights, the more a licensee would be willing to pay. Some of the most valuable rights include exclusivity, multiple types of IP (i.e. patents, know-how, copyrights and technical data), rights to future-improvements, and rights to sub-license. When I was licensing the big entertainment properties, the “price” for an exclusive license was a double-digit royalty and seven-figure minimum guarantee. How the royalty is paid can also influence the royalty price. Royalty payments are structured in many ways. Some examples include running royalties, fixed payments, common stock (equity), R&D funding, consulting services, grant backs, or licensee access to other proprietary resources. The advantage of the royalty based price is that it spreads the risks between you and your licensing partner. If your IP becomes wildly successful in the marketplace, it will generate big financial rewards to both you and your licensing partner. READ Is Your Business IP Savvy? Value is the economic worth of your IP, and price is what some is willing to “pay” for it. The most important price factor for your licensing partner is that your IP provides them with a financial gain. A licensee will only buy your license if they believe they can produce and sell your IP at a price much greater than what they are willing to pay to acquire the rights.